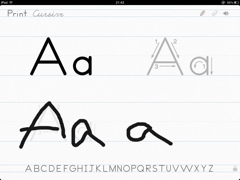 Letterforms – £0.79 – app allows students to practice their letter formation. Has both print and cursive letter shapes. 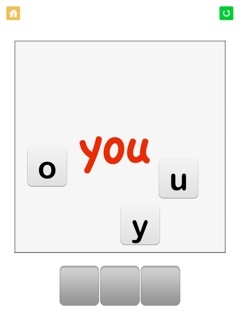 Little Speller – Sight Words – Free – spelling app that has visual, audio hints which can be turned on and off. Also you can customise it to the students needs. 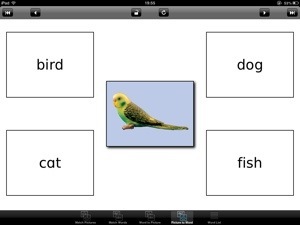 Little Reader – Three Letter Words – £0.99 – Great app where users have to match the pictures up to the words. Fully customisable to allow you to record your own voice and add your own pictures. 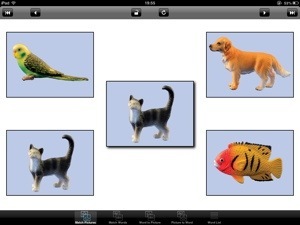 Special Words – £9.99 – A suite of different programs that focus on the teaching of literacy. 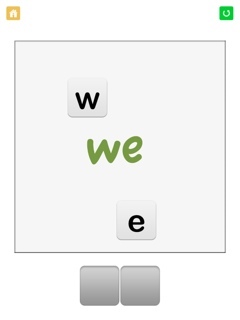 Starting from matching pictures to matching pictures to words, the app has lots of customisable setting and the ability to add your own words. 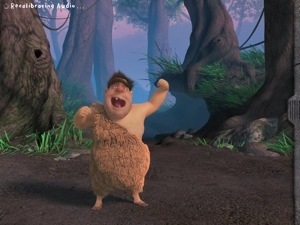 Club Caveman – £0.79 – A cartoon caveman that will react when you touch or speak to him. Great for early speak and language skills. Demonstrate the caveman performing an action then get the students to try and say the action to get the caveman to respond.